High level of self-reliance and work capacity. Fluent English is required and fluent Spanish and French are desirable. (Oral and written skills). Enthusiasm and dedication for aviation consultancy work. Candidates should be proactive team players and possess well-developed communication skills. 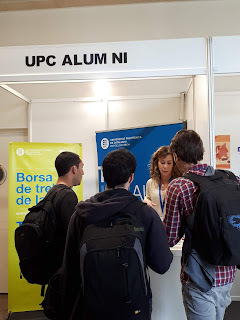 A la borsa de treball de la UPC pots trobar moltes més ofertes. Aquest any ja s'han publicat més de 900 ofertes de treball.